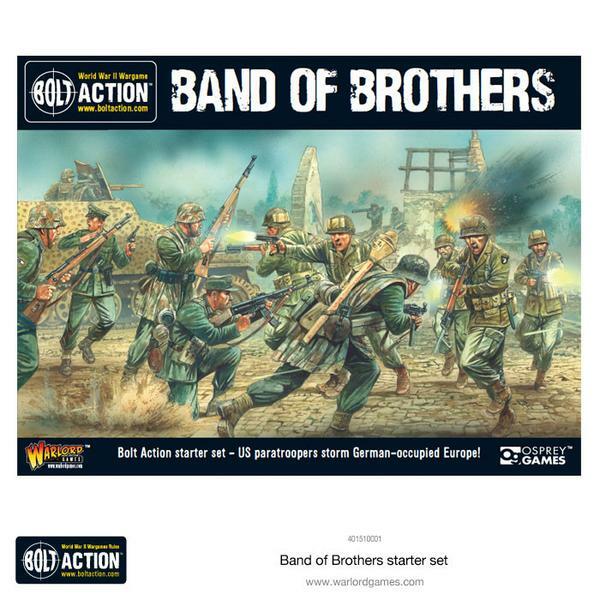 Officers activate other units! 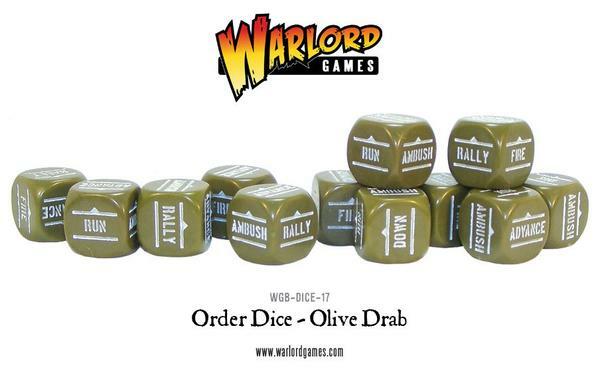 Used cleverly, this creates a huge tactical shift as you can order multiple units to fire or advance in concert. Big Explosions! 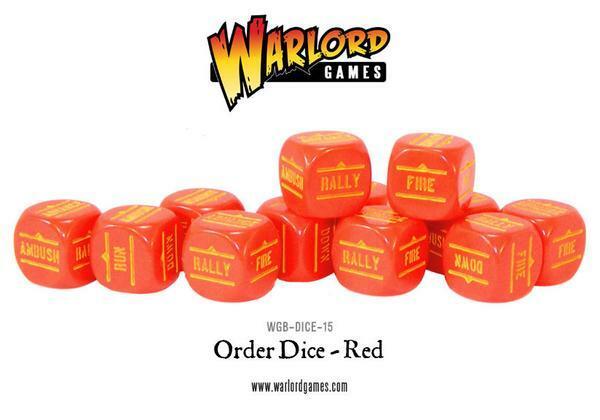 HE fire now uses templates to determine damage - your opponent had better spread out his troops to avoid carnage! Armed Transports! 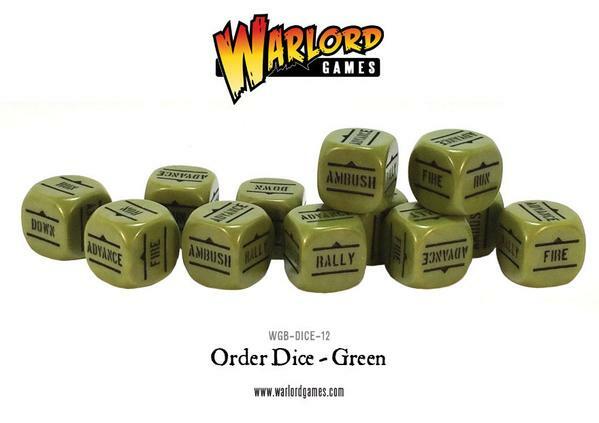 Once your squad has piled out of its halftrack, the driver can speed around and unleash a hail of lead at the enemy! 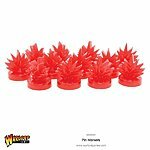 Player Feedback! We've listened carefully to the community and taken advantage of the thousands of battles you've played to improve the game in dozens of other ways. 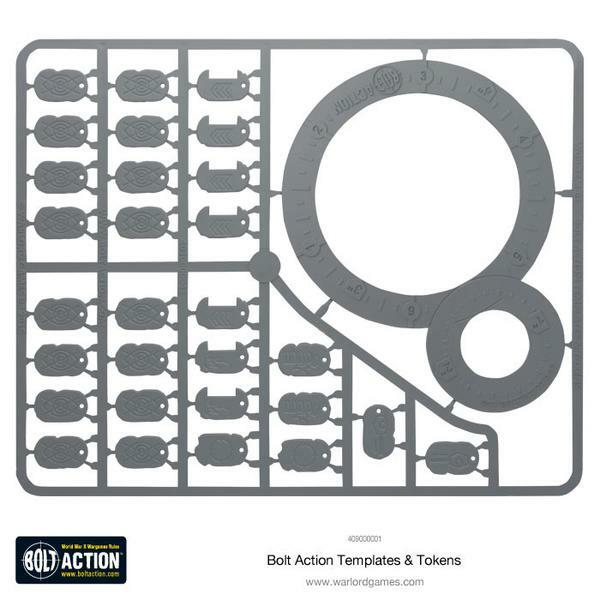 Pin Markers are an integral part of the Bolt Action system and help track your individual squads/units effectiveness. There's nothing better than seeing a growing number of markers behind your opponents units and the dismay on their face! 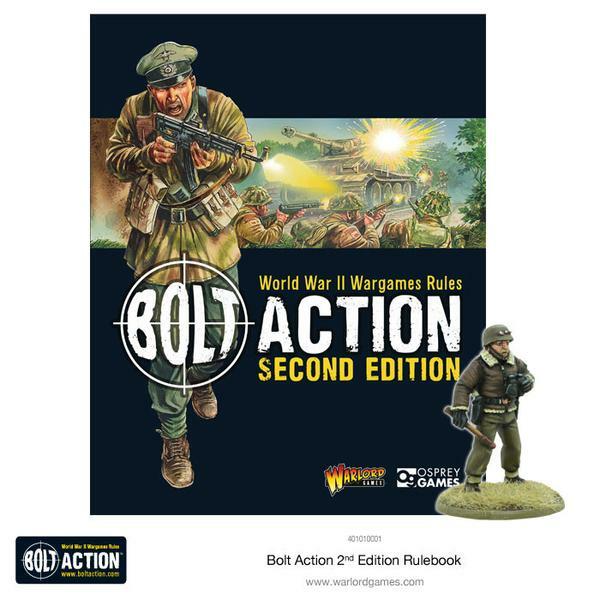 Brand new for Bolt Action Second Edition! 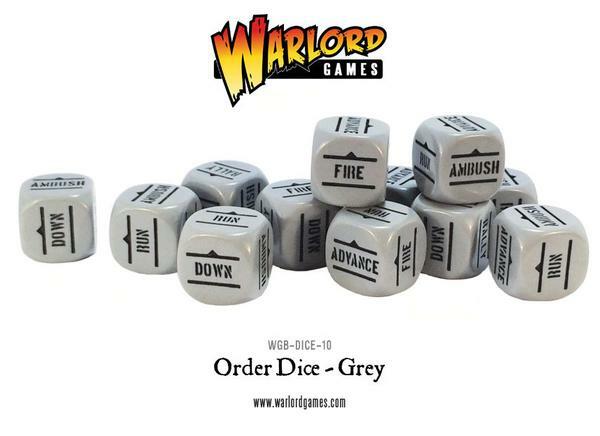 All the tokens required to keep track of your squads actions and other useful reminders plus the essential new template for High Explosive (HE) ordnance - the bigger the artillery the bigger the area! 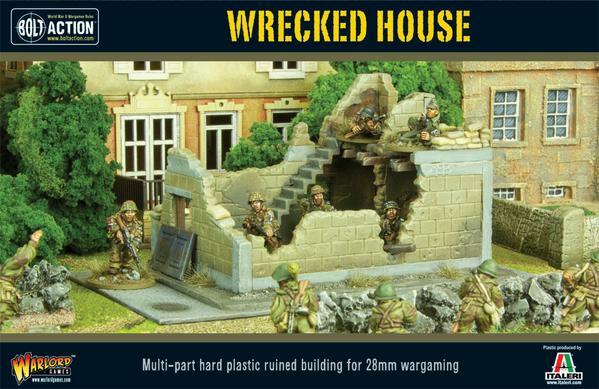 This kit contains 1 ruined farmhouse. 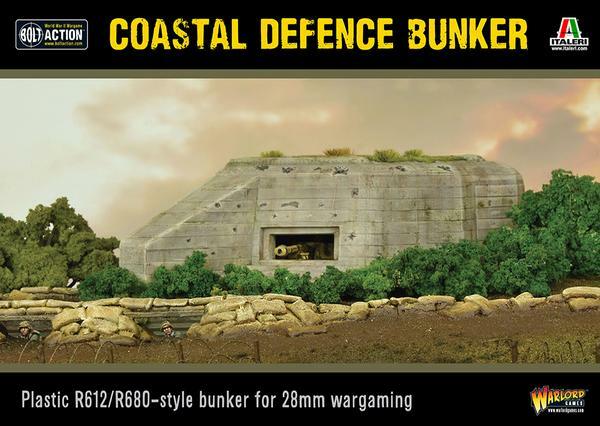 This Coastal Defence bunker follows the R612/R680 templates for coastal defence bunkers with its distinctive flanking wall. These bunkers would most commonly house either 7.5cm anti-tank guns or 10.5cm field howitzers and provided deadly firepower capable of striking invaders as they landed as well as at sea. The Atlantic Wall on the coastal areas of North West Europe was ringed by hundreds of these bunkers and their similar types such as the R677-style anti-tank/flak bunkers, providing a fearsome barrier for the invading British, Canadian and US troops to breach during the Normandy landings on D-Day... 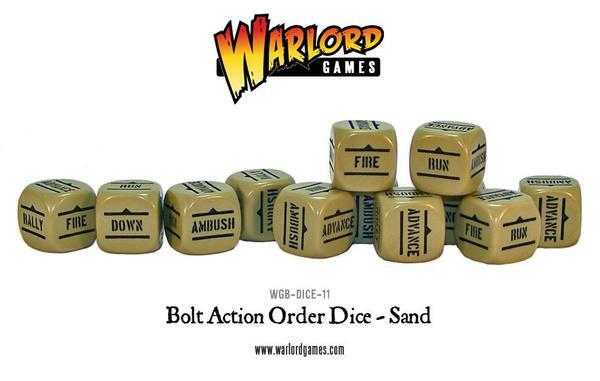 This plastic kit contains one hard plastic R612/R680-style bunker. In addition to a removable roof to allow access to your figures, the rear doors are fully openable allowing defenders to sally forth or assaulting troops to attempt to crack open this heavy defence! 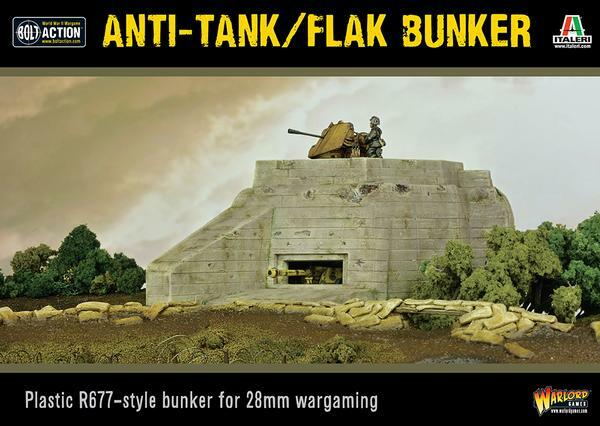 This Flak Bunker is based on the R677 bunker template with dual purpose anti-tank and anti-aircraft capability. 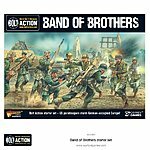 Commonly house either 7.5cm anti-tank guns and light anti-aircraft guns such as the 2cm, 3.7cm and quad 2cm flak guns they provided deadly firepower capable of striking invaders as they landed as well, at sea and protection from Allied air attack. The Atlantic Wall on the coastal areas of North West Europe was ringed by hundreds of these dual-purpose bunkers amongst many other types, providing a fearsome barrier for the invading British, Canadian and US troops to breach during the Normandy landings on D-Day... 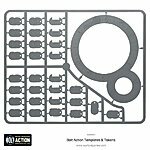 This plastic kit contains one hard plastic R677-style bunker. In addition to a removable roof to allow access to your figures, the rear doors are fully openable allowing defenders to sally forth or assaulting troops to attempt to crack open this heavy defence!